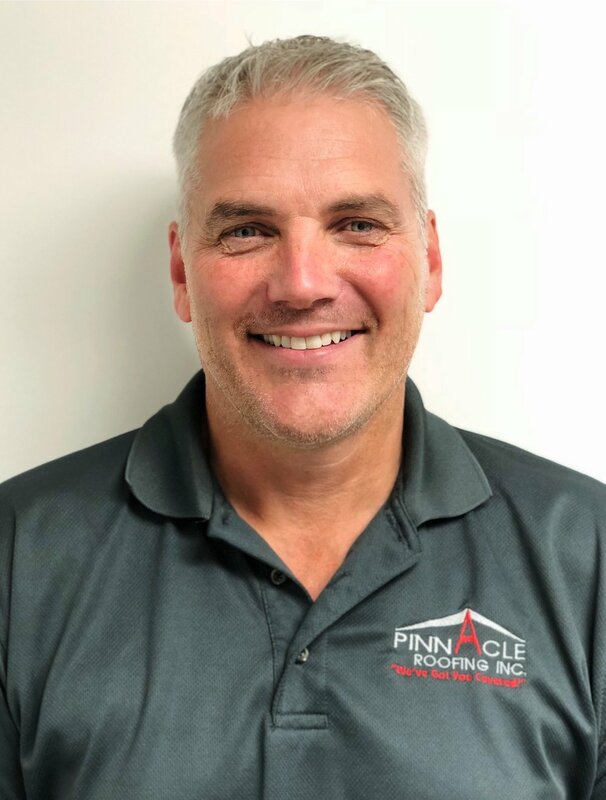 The Pinnacle Team — Pinnacle Roofing Inc.
Chris LaVallee was born and raised in Rotterdam New York. He began roofing in 1987 with a small residential roofing company where he was promoted to Foreman within his first year. He would later move on to work as a project manager for a commercial roofing company, where he was in charge of large productions covering the entire Northeastern US. In 1999 he took his project management skills to a local roofing company so he could stay closer to his wife and kids. In 2004, Chris founded Pinnacle Roofing Inc., using his 17 years of experience in all aspects of roofing production to win bids for major projects. 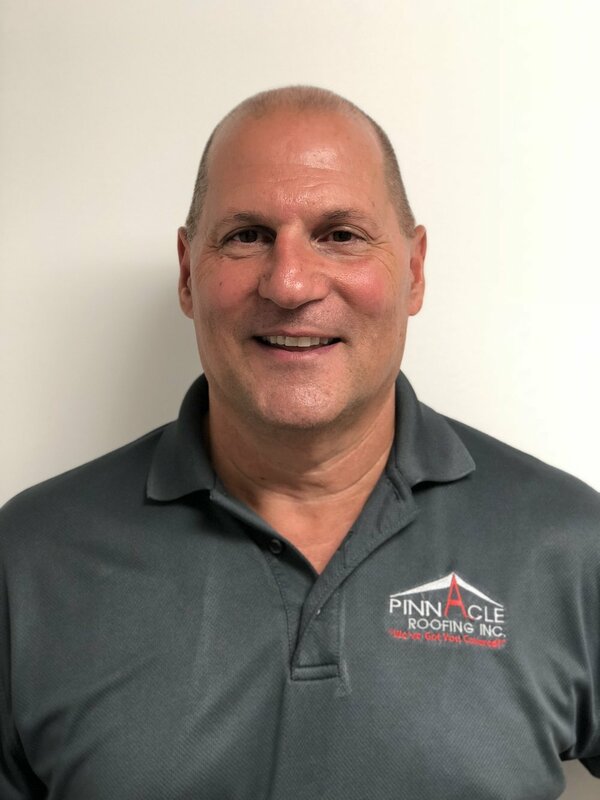 Over the next 14 years Chris would establish Pinnacle as a premier residential and commercial roofing company in the Capital Region and beyond. He has been married 31 years and has two sons who are currently both working at Pinnacle. When he’s not working he enjoys playing golf, supporting his sons interests in sports and the arts, and traveling with his wife. Dan Jordan joined Pinnacle Roofing in 2015 and brought with him decades of construction and management experience. Originally from Brooklyn, Dan was raised in Glens Falls, New York. He obtained a degree in Communications and Television Production from Emerson College in Boston, and later a Masters in Teaching from SUNY Plattsburgh. After several years working in the film and television industry Dan worked as a teacher and eventually became a High School Principal. Dan is trained in First Aid, CPR, and Critical Incident Management, and is OSHA certified in Roofing and Construction Safety procedures. He has a detail oriented mind and a passion for his work, making sure that each Pinnacle Roofing project is finished safely and to our standards of quality. Dan has 4 children with his wife of 29 years. When he’s not working he enjoys kayaking, camping, skiing, reading and motorcycling. He continues to teach as a downhill ski instructor. John is a Commercial and Residential Project Manager and Estimator with Pinnacle Roofing who oversees the Vermont territory for the company. John joined the Pinnacle team in 2016 after 20 years in the Hotel/Resort/Property Management industry. Living and traveling worldwide; John decided on a career change. John grew up in Salem, NY and made the decision to move close to home to be near family and friends. Outside of work, John enjoys golf, skiing, traveling and time spent with family. John holds a Bachelor of Science degree from Johnson and Wales University in Rhode Island and a Master’s degree from Dublin Institute of Technology in Ireland. Bob Thomas has been with Pinnacle since the early days, starting as a foreman in 2007. After graduating high school in 1980, Bob joined the Marines and served for 6 years at Camp Pendleton in California and in Mainland Japan. He became an M16 range coach and played for the Marine Fast-Pitch Softball team. Returning to civilian life, Bob began working in masonry, specializing in scaffolding building. He worked for Horizon Roofing on the State Capitol Building Restoration interior and exterior as well as on a number of historic structures throughout Albany and the Capital Region. 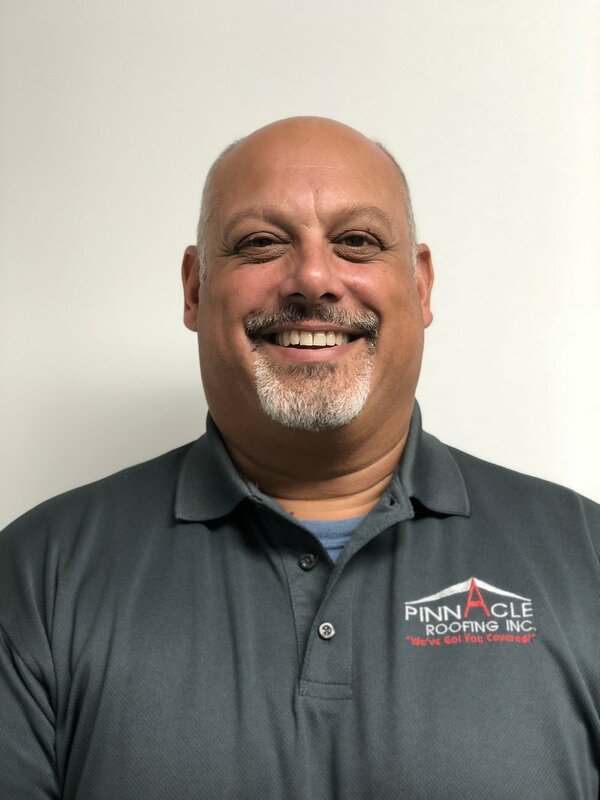 Bob has been a Residential Roofing Salesman with Pinnacle since 2012 and has sold and overseen hundreds of Pinnacle Projects. Bob is a proud parent of four children and when he’s not working, you can find him in the stands watching his 16 year old Daughter perusing her various athletic endeavors. David G. Morse joined Pinnacle Roofing in May of 2018 after serving with Adam Vaillancourt Roofing in southern New Hampshire. David & the Vaillancourt team built one of the nations fastest growing and most reputable residential roofing companies. A native New Yorker, David has an extensive background of federal forensic crime scene investigation and criminal justice administration. Over the past two decades, his main area of discipline has been mission critical facilities design, consulting and construction. He has completed and delivered projects all over the world for the U.S. Department of Defense and Intelligence Agencies, foreign governments, and large corporations. He has a dedication for detail, a passion for serving, and loves working with the Pinnacle Roofing team in delivering the highest level of quality & customer satisfaction. When David is not working, he loves serving with his wife & family in whatever way god leads and directs. He enjoys all things outdoors and wild, like kayaking, hiking, traveling, arboriculture, and just being among nature. David grew up on a dairy farm, so feel free to meet or call him before the sun rises! Lamont has been a foreman with pinnacle for 10 years. Originally from queens, Lamont and his family moved to Saratoga for a more peaceful lifestyle where he has spent most of his life. Lamont is married and enjoys doing charity work with his wife and going fishing in his free time.